Netanyahu Accuses Iran Of Developing Secret Project To "Test And Build Nuclear Weapons"
Update 2: Commeting on Netanyahu's speech, Iranian foreign minister Mohammad Javad Zarif says allegations made by the Israel prime minister are lies aiming to deceive people and some governments, state-run FARS reports. "The speech of Netanyahu and some American circles behind him are mere false claims that don’t matter"
Meanwhile, Abbas Araghchi, Iran's deputy foreign minister, said Israeli presentation accusing Iran of hiding a secret nuclear arms project shows how far it is willing to go to end the nuclear deal: "We are prepared for all scenarios. But this really shows how much theAmericans, the Zionist regime and the Saudis are worried about the opportunities that the nuclear deal provides Iran and the lengths they’ll go to stop it,” he said in comments aired on state TV. In other words, no decision just yet. Oil is soaring to $69.34/bbl, the highest price since 2014, after Israeli Prime Minister Benjamin Netanyahu accused Iran of secretly developing and building nuclear weapons. In a global televised address, Netanyahu unveiled a cache of 55,000 pages of documents and 183 CDs, comprising Iran's alleged "atomic archive" of documents on its nuclear program; the files allegedly prove Tehran ran a secret program, called Project Amad, to "test and build nuclear weapons." 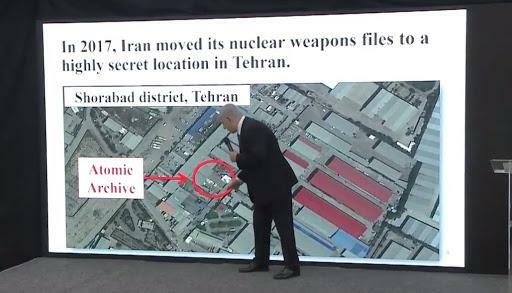 While Iranian leaders have long said their nuclear program is only for peaceful purposes, Netanyahu claimed this was not the case according to tens of thousands of pages of documents, which he said were copied from a "highly secret location" in Iran. 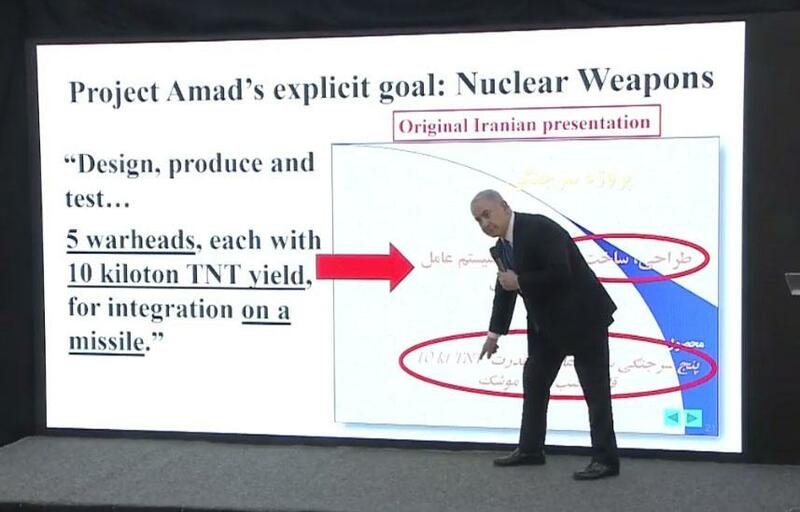 Those files detail Project Amad, which Netanyahu described as "a comprehensive program to design, build and test nuclear weapons." He says the US has vouched for the authenticity of the secret archive obtained by Israel, and that it would make the documents available to the UN atomic agency and other countries. 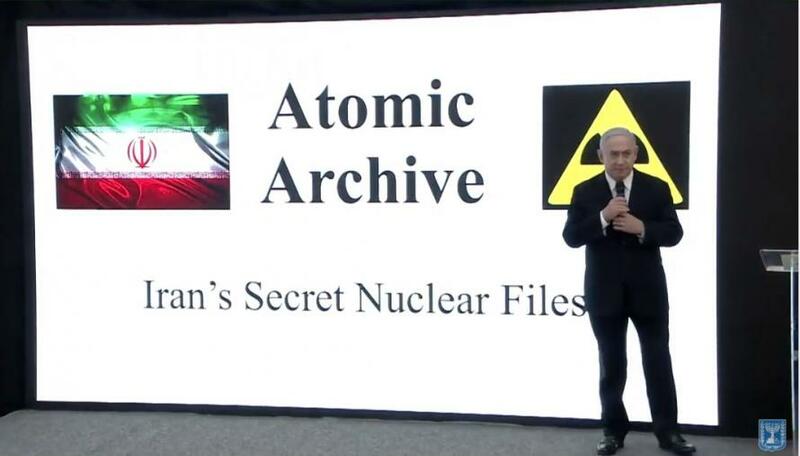 According to Netanyahu, the files provided "new and conclusive proof of the secret nuclear weapons program that Iran has been hiding for years from the international community in its secret atomic archive." As we noted earlier, according to Axios Bibi's speech would be "hugely helpful for Trump" as it "builds the public case for Trump to blow up the Iran deal on May 12 by reimposing sanctions on Iran’s oil exports and central bank." In other words, it was up to Netanyahu to provide the media with cover for the next regional conflict: that between the US, its allies, Saudi Arabia and of course Israel on one side and Iran, Syria, Russia, and potentially China on the other. Or, as some would say, a true potential world war. And sure enough, Bibi did not disappoint, delivering just as expected. "We've shared this material with the United States and the United States can vouch for its authenticity," Netanyahu said. The speech also comes just after an airstrike in Syria Sunday night in which 200 missiles were destroyed and 11 Iranians were killed, according to pro-Assad sources. Various reports attribute the strike to Israel, but the origin of the attack remains unconfirmed. NETANYAHU SAYS ISRAEL HAS SHARED INCRIMINATING FILES WITH U.S. Which means that Trump's next tweet could end the price of oil soaring, and potentially greenlight a middle-eastern conflict far greater than the proxy war in Syria.